A bowl of masoor dal can fulfil the nutritional and dietary requirements of an entire meal. It is rich in iron, fibre and protein. It helps to lower sugar levels and cholesterol, helps in weight loss if taken in moderation. This recipe is a perfect blend of millet and masoor dal! Wash and soak all the ingredients together except salt for 4 hours. Using a blender grind to thick idli batter consistency. Add salt and ferment for 8 hours or overnight. 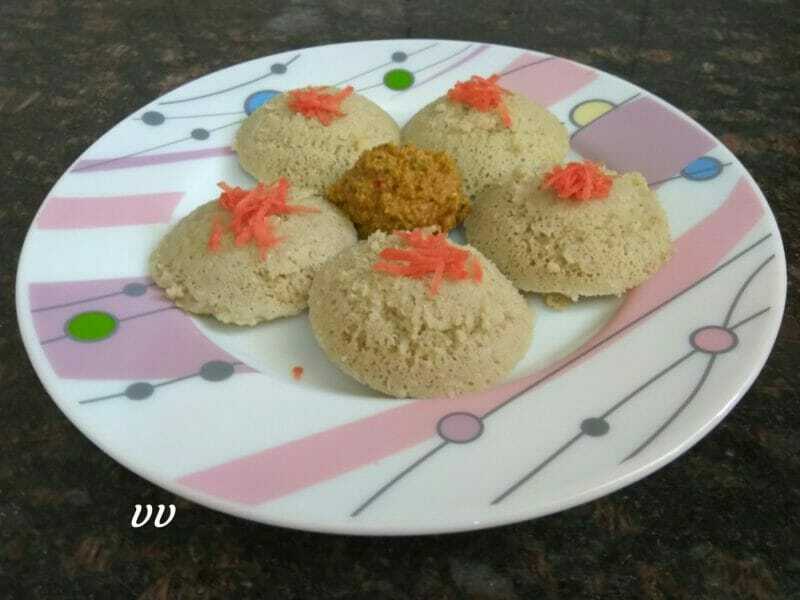 Using idli moulds steam idlis. 1. Normal rice flakes/poha can also be used instead of millet flakes. Thanks for your visit. Please try and share your experience.